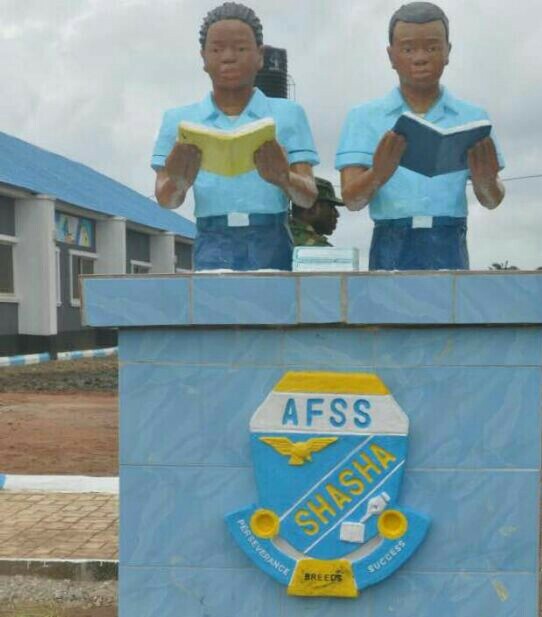 As part of efforts to address the educational needs of personnel and its host communities, the Nigerian Air Force (NAF) has established a new secondary school at its base in Shasha, Lagos State. The newly built secondary school with 18 well furnished classrooms, 5 fully equipped laboratories, a well stocked library, modern recreational facilities as well as other state-of-the-art facilities, is part of the NAF’s modest way of adding value to its host communities. Apart from bringing much relief to parents who had to travel a long distance to enroll their children in secondary schools, the new school would also provide employment opportunities for members of the host community. Speaking at the commissioning ceremony, the Guest of Honour and one time Chief of the Air Staff, Air Vice Marshal Abdullahi Bello lauded the current NAF leadership for sustaining the tradition of positive contribution towards the development of children education in NAF bases and environments. He noted that the importance of education in modelling the citizenry of any nation could not be overemphasised saying “education is the veritable tool for living a responsible life”. In his remarks, the Chief of the Air Staff, Air Marshal Sadique Abubakar stated that the building of the school was necessitated by the quest to meet the educational requirements of the dependants of NAF personnel and members of the host communities. His words, “education is the foundation for human capital development and therefore, a key factor in technical advancement and innovation”. Earlier, Air Officer Commanding, Logistics Command, Air Vice Marshal Ibrahim Yahaya expressed appreciation to the CAS for the choice of Logistics Command as a suitable location for the new school. The CAS used the opportunity to equally commission 2 blocks of adequately furnished airmen’s transit accommodation on the Base to further reduce accommodation shortage. The NAF has in recent time built other secondary schools, including the Air Force Comprehensive Girls School, Abuja, as a way of contributing to the Federal Government’s efforts to resolve the girl child education issue.